RBS and NatWest have enhanced their smartphone apps to allow customers to withdraw cash from ATMs without their bank card. The updated NatWest and RBS offerings for iOS, Android and BlackBerry now allow for multiple withdrawals of up to £100, just by entering a six digit code generated by the app. The GetCash scheme will come in handy for empty-pocketed souls who have forgotten or lost their bank cards. And, provided you're within your daily withdrawal limit, you can use as many codes as you desire. If you want to spot somebody some dough, you can even forward the code to a friend (or more likely your skint offspring) and they can visit the nearest RBS or NatWest ATM. The codes are valid for three hours at a time, and the third-party cannot change the amount the account holder has specified. 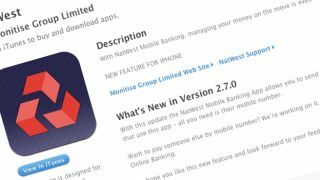 A spokesman for the banks said using the app was as secure as using your debit or credit card. He said: "GetCash will offer customers an easy fix for lost or forgotten cards, a way to get cash quickly to family members or friends in need, or a choice of leaving their wallet at home in favour of their mobile phone. "You could send that code as a text to anyone, and they could go to any RBS group cash machine, input it and get themselves out of trouble." Naturally, the app is password protected, so if some cheap dime store hood gets ahold of your phone, he or she cannot generate multiple codes and go on a spending spree.